Accessed from Church Road in Douglas, Cork City, this beautifully redeveloped and extended pathway now goes all the way to Cherrygarth, with exits at Donnybrook, Berkley and Calderwood Road. 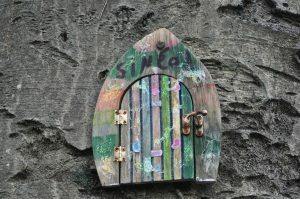 What a wonderful amenity for all those living close to it! A lot of credit is due to Douglas Tidy Towns and their volunteers who worked with the Council to clear the path. 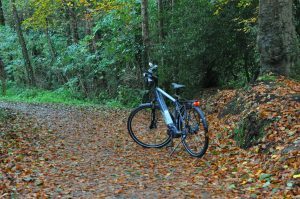 At this time of year, it was a joy to cycle along the winding, but wide, tree-lined path with its glorious autumnal carpet. The offset gates at the Douglas end, while easy to navigate on a regular or electric bike, would be difficult with a cargo bike or a bike towing a trailer. We were unsure why there had to be five of these ‘gates’ so close together, unless it was to slow cyclists at the very steep hills along that section. 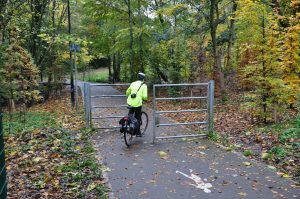 One gate would prevent motorised vehicles accessing the path, so having five remains a bit of a mystery to us! 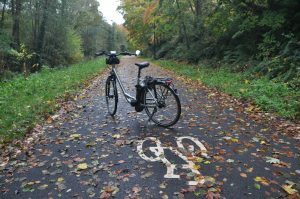 Speaking of the gradient, having an electric bike would be a distinct advantage for people wishing to commute or use the path to go shopping in Douglas. There’s quite a steep climb in places going towards Donnybrook and Cherrygarth. However, an electric bike would be just the job to whizz you back home! 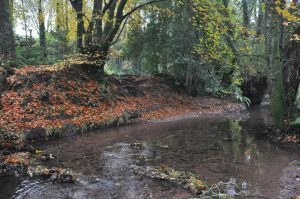 Apart from the usability of the path for getting you into Douglas without your car, it offers beautiful scenery along with way, with a few surprises for adults and children to explore. There were plenty of people strolling and walking their dogs, enjoying the tranquility of this route. 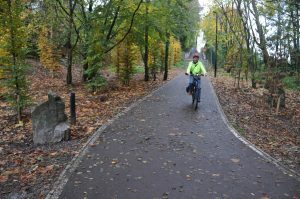 Overall, cycling this route was a wonderful experience and it’s a really fabulous amenity right in the heart of Douglas! – Trip to Germany for new Kreidler models, and much more! – Some Harmless Little Winter Cycles!